Golfer's tan? How do you avoid it? My question is about tanning... Last summer, I had what one calls a golfer's tan the entire season! I would be pleased if some of you could give me few tips on avoiding it. I may add before receiving the same replies as on the French forums I asked that my idea is not getting orange like President TRUMP, I take care of my skin and am aware of the risks of tanning too much. But I confess that I prefer to have a light tan more than a super white winter skin when wearing my summer dresses. Welcome to the forum, Marie Laure! As a fellow European, you know how scarce the sun is around here, so people love getting a tan and skin protection is not their top priority. This also applies to the lady golfers in my club. Summer time is also the only time to show-off your perfect tan, so they'll go as lightly clothed as possible (remaining within the border of decorum). On the other hand, if you are like the Asian players (see LPGA) who think whiter is prettier, then you can wrap yourself up until only your face is visible. You can either wear pants and long sleeves or a dress with sun sleeves and leggings (which turns out to be the same thing). 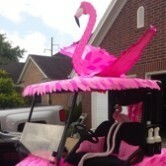 Don't forget to use those wide rain hats to cover your ears as well and keep an umbrella with UV protection on your cart at all times. In our club, people make fun others who use umbrella on sunny days. Or you can skip the above and only apply sunscreen to your exposed skin, but I personally dislike that sticky, oily feeling, especially if you are wearing glasses or shades. I am by no means a fan of orange, but for me nothing screams healthy and active as a nice bronzed skin. Once you got your desired tone, you'll still need to use sunscreen, or you'll be all wrinkled by age 50 (without knowing your age). Sunscreen SPF 70? My issue is actually my gloved hand - playing about 150 rounds a year one hand is deeply tanned and the gloved hand is a pasty white. I can see mitigating it to a point with the above recommendations, but it is indeed difficult at best to try and achieve... You can only get so naked before they take you away in a rubber truck..! I'd add that regardless, everyone should protect themselves with some form of sunscreen at least on their ears, nose & neck-even if wearing a wide-brimmed hat. Nasty business the sun, and I've had my share of friends and family diagnosed with all types of skin ailments attributed to over exposure to it. Welcome to the forums from Idaho, USA BTW! Enjoy them and stay active, we'd love to hear about more international golfing! I tried playing golf au natural. Sadly, there was significant objections from the other golfers and those houses adjacent to the course. The police were not amused, either. I'd add that regardless, everyone should protect themselves with some form of sunscreen at least on their ears, nose & neck-even if wearing a wide-brimmed hat. Nasty business the sun, and I've had my share of friends and family diagnosed with all types of skin ailments attributed to over exposure to it. You get quickly converted to lots of sunscreen after a few trips to the dermatologist for a MOHs procedure! Don't ask me how I know. Thanks a lot for all your replies! First, because some of you may be interested in, did you know we actually have a "naturiste" golf course here in France? (A golf course for naked golfers...) I am pretty sure it is "La Jenny" golf course, apparently a "not so good" 6-hole course on the Atlantic French coast. But I have never been there. I'm in Scotland, what's this 'TAN' thing you speak of? Naked golf - no thanks! 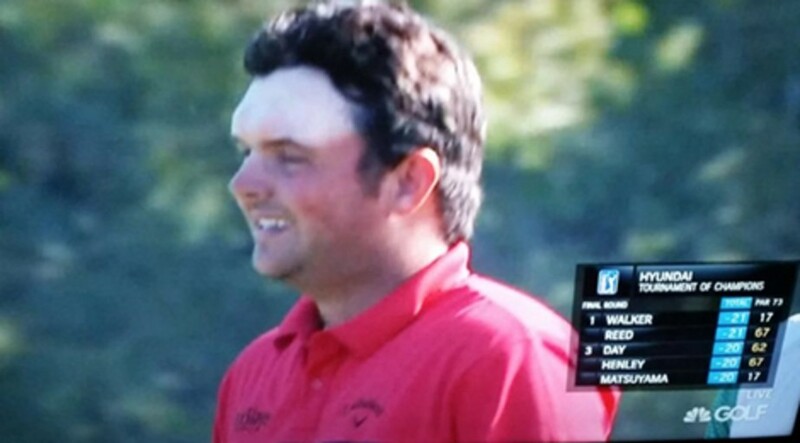 There is really only 2 ways to avoid golfers tan. Completely cover up everything to keep the sun away, or do enough other things aside from golf to tan the area's you can't while golfing. I try to wear sleeveless shirts and flip flops or bare feet when I mow the yard to cut down on some of the tan lines. We also got a pool last summer so now there is plenty of time in a swim suit to help alleviate the golfers tan. Bottom line though is that if you play golf often you will end up with tan lines. A few little things you can do on the course as well. After a shot take off your glove, just remember to put it back on as you are approaching your ball instead of after you get there. Helps speed up pace of play. If you wear a hat or visor you can also take it off for a couple holes, then put it back on for a couple holes. The easiest way would be change the time of day you play. Make sure you always wear sunscreen but also don’t play at high noon. Play twilight when the sun is lower in the sky. The suns rays are strongest 10am-4pm so play early in the morning or twilight. I have always tanned very easily and quite dark so I live with tan lines year round. I have a couple of pair of BiiON golf shoes and even get tanned dots on my feet from the little holes on the top of those shoes. Some of the ladies I play with wear flip-flop golf shoes so their feet get tanned and racer back shirts for tanned shoulders. But they still cannot avoid tan lines where clothing and shoe lines stop. Because I've had skin cancer, I use the best sunscreen I can find. I like Neutrogena Dry-Touch suncreen with a 85 or 100 SPF. I find that one benefit of a higher SPF is that lasts longer so I don't need to reapply it after 9 holes. I also always wear a hat and good sunglasses to protect my eyes. Often in the summer I carry my silver 50 SPF sunscreen umbrella onto the green with me. It also happens to lower the temperature about 10-15 degrees. My best advice on your tan is to own it. Always keep your skin moisturized to compliment your tan. Then when you walk into a room, hold your head up and wear your best brilliant smile. Love that you're a lady golfer and golfers have fabulous unique tans. Absolutely no reason to hide what you enjoy doing. I have another hobby that allows me to take my shirt off (well you might not want to) but fishing & being out on the water in the boat during the spring & summer allows me to really tan up. Also I take off my golf glove in between shots so I don't get the "glove" tan. 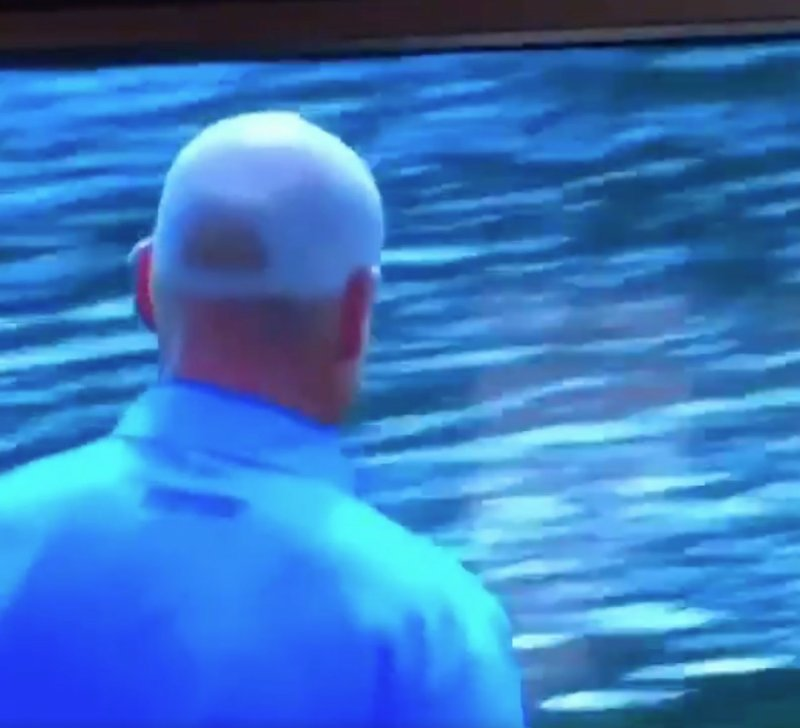 The worse tan I would have would be on my semi-bald head from the hat or the glasses. I hope you all had a great Easter weekend and maybe some quality time (with your family) on the golf course. I could very much be interested, but I do not know this "multi brand website", Kickstarter. Is it safe to buy on it? I like this idea.........if it actually works without burning or the other harmful effects. Kickstarter is a site for people 'kickstarting' a project and looking for funding, for peoples pledges of funds you get early adopter prices on their products, usually much cheaper than they will be sold retail. I've used one in the past to buy a car seat for a child that looked safer and easier to use, it did take months before I received it due to the project length. worth noting if the project doesnt reach its goal you wont be charged anything, you are only charged when it reaches its funding goal to proceed. 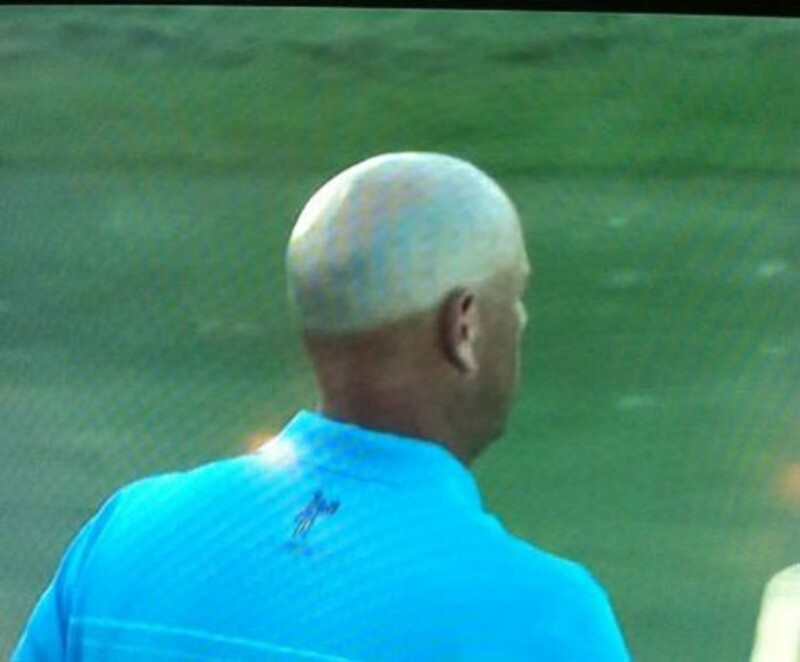 The worse tan I would have would be on my semi-bald head from the hat or the glasses.